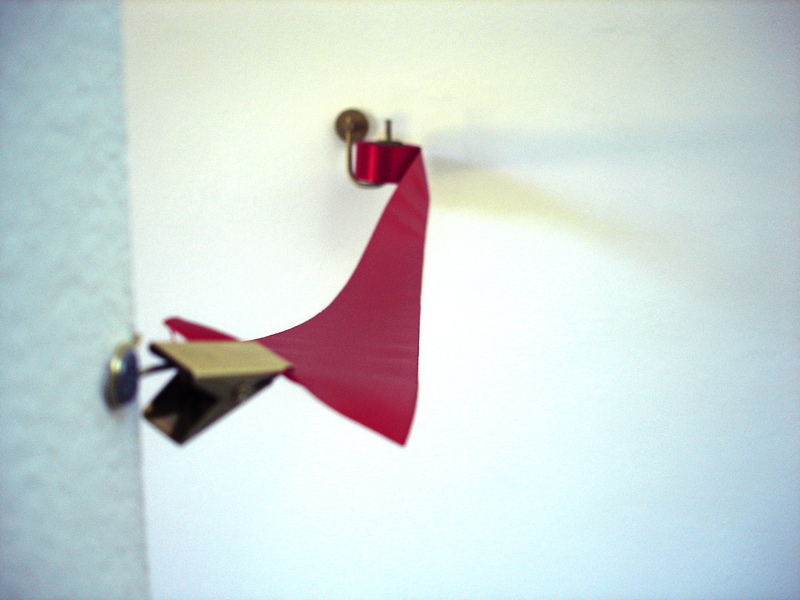 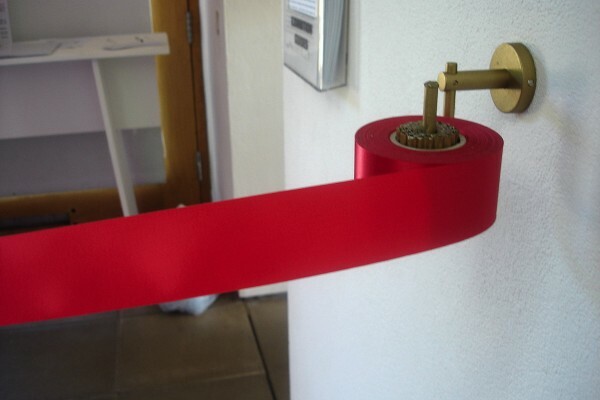 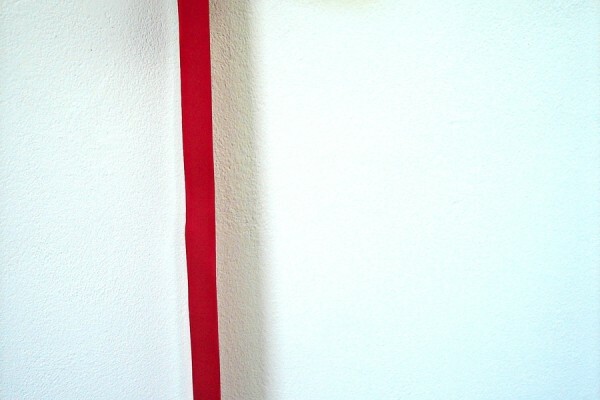 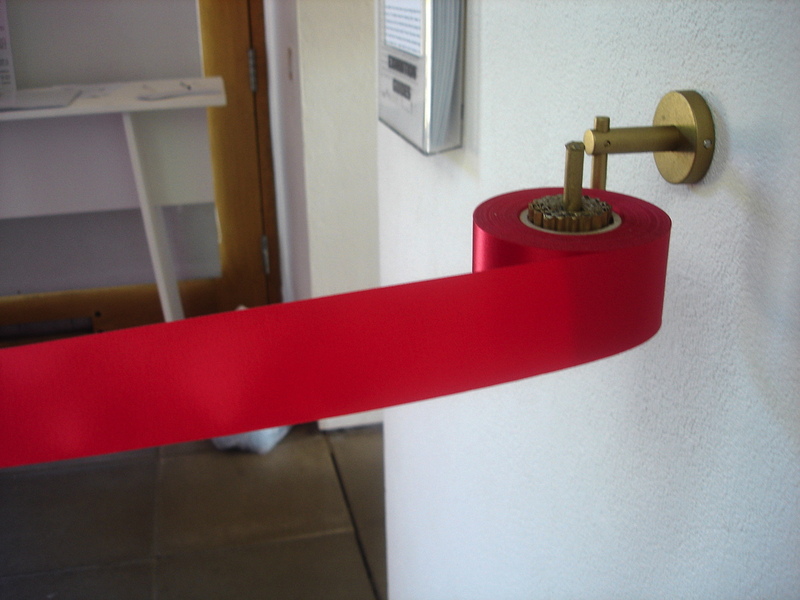 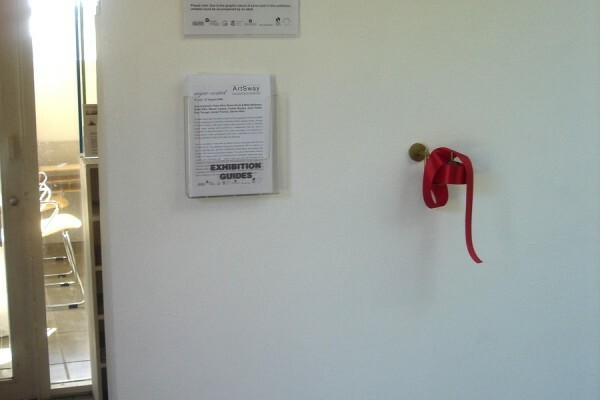 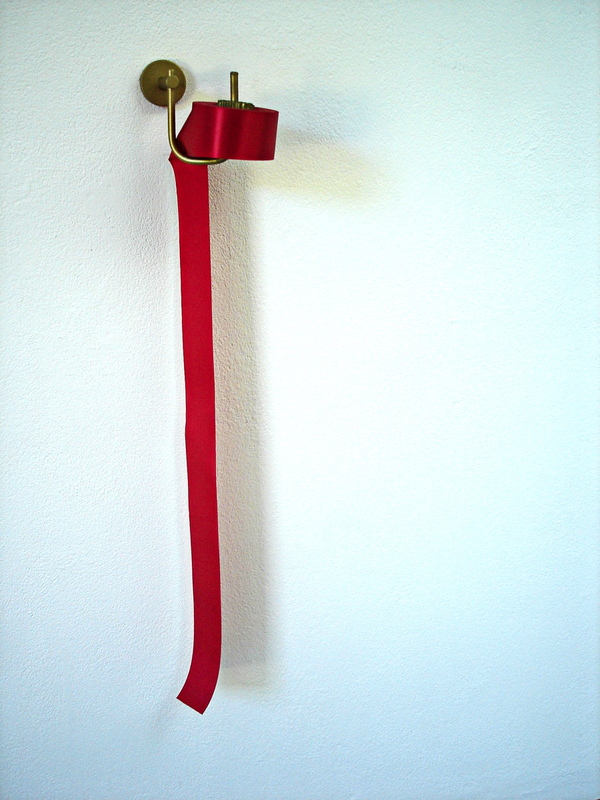 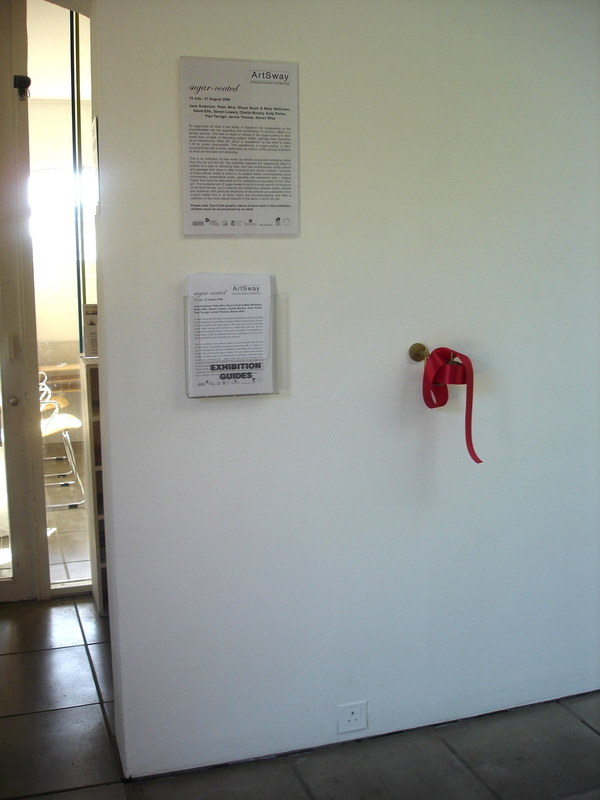 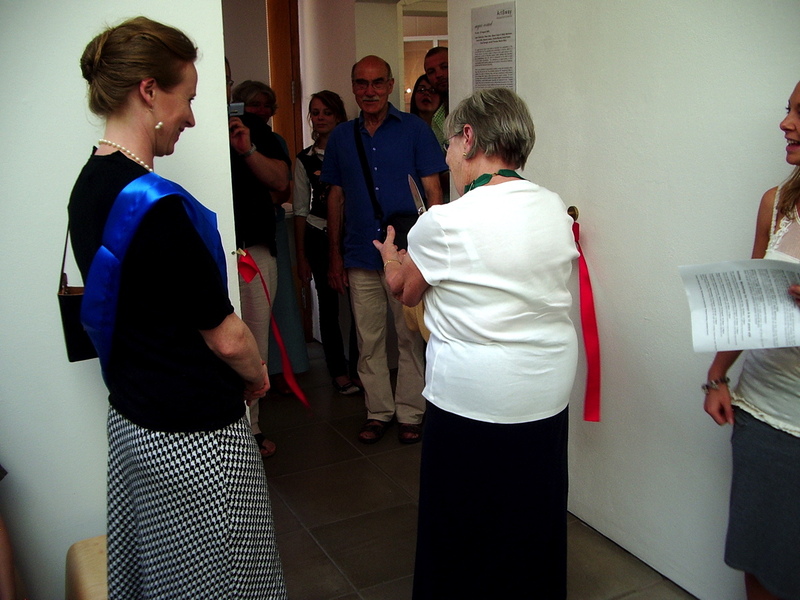 Presented for the opening of group show ‘Sugar Coated’ at ArSway (2006) curated by Peter Bonnell , this one-off performance and installation involved an official ribbon cutting ceremony by the local Mayor. 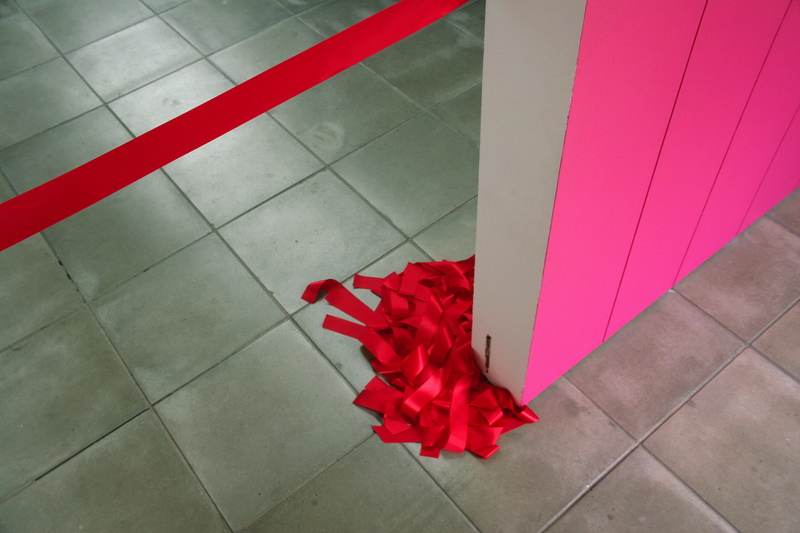 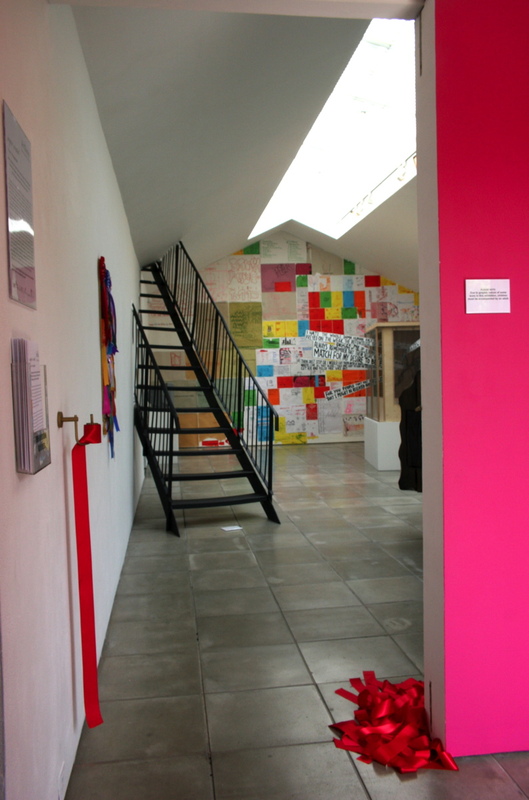 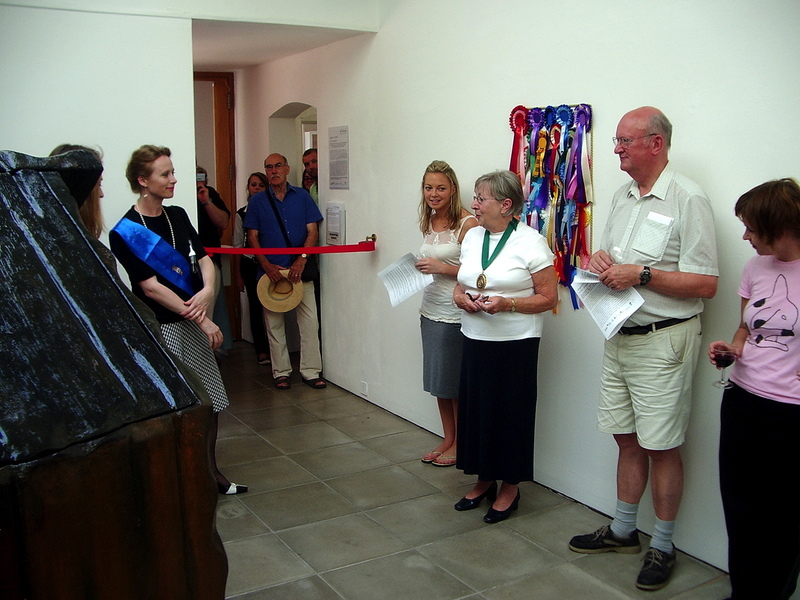 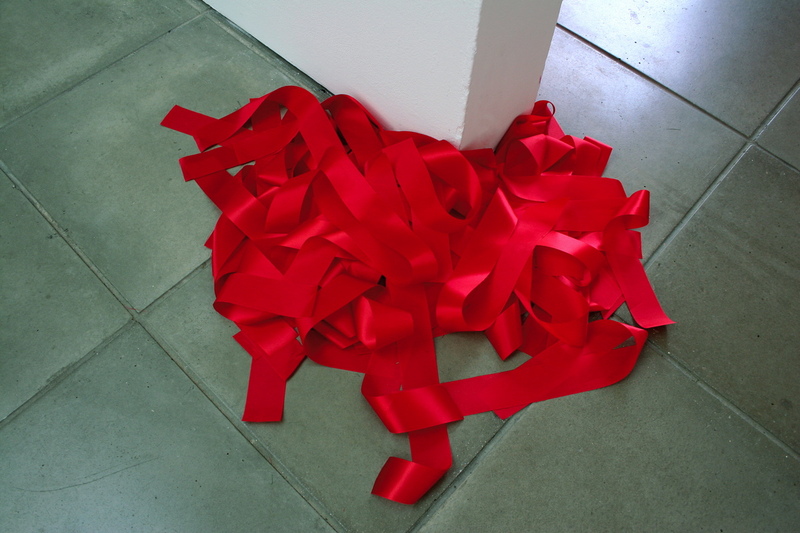 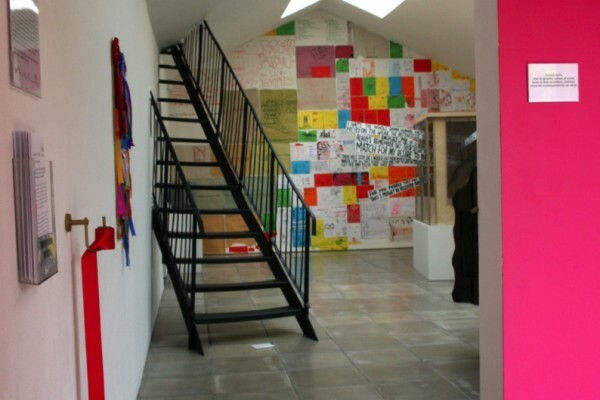 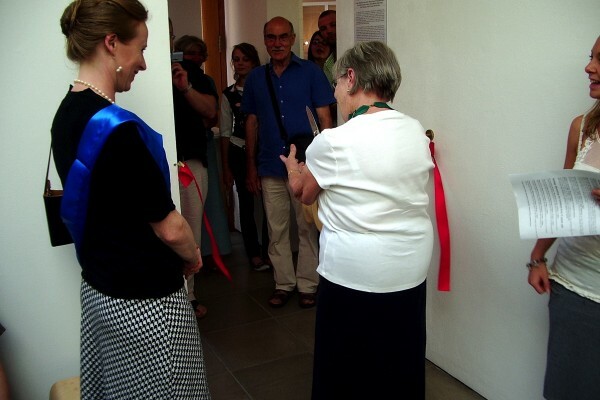 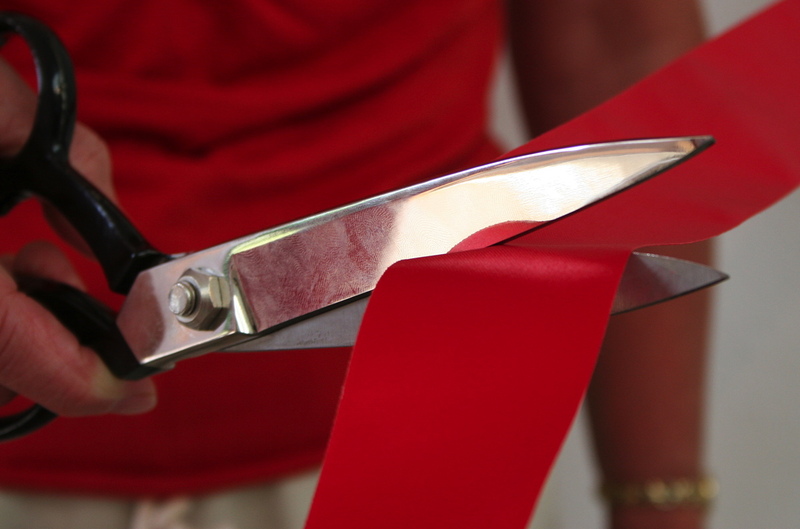 The ‘opening’set up involved an assemblage where all subsequent visitors were also invited to ‘open’ the show with the scissors provided, gradually creating a large heap of ribbons on the gallery floor. This installation may be installed to a variety of dimensions and in a wide range of contexts. 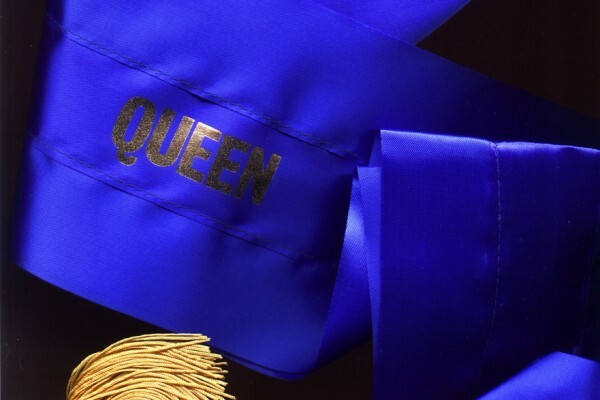 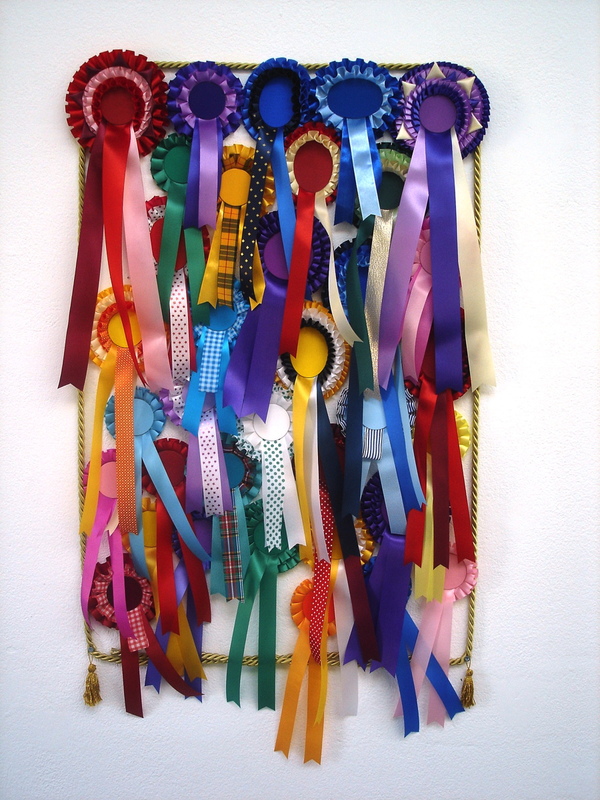 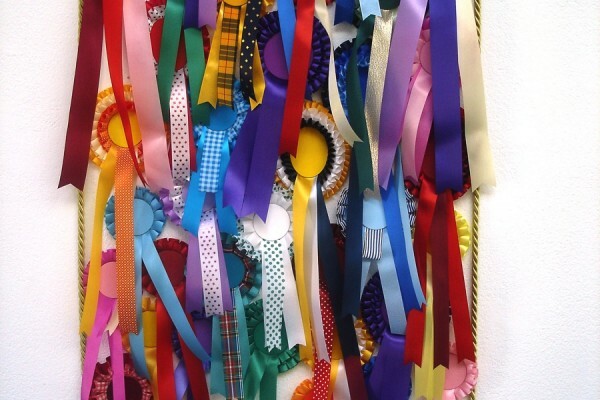 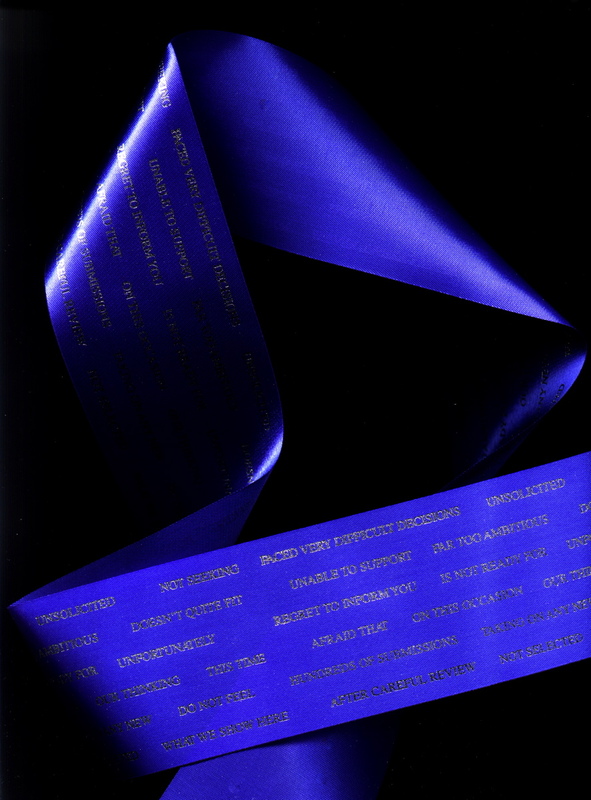 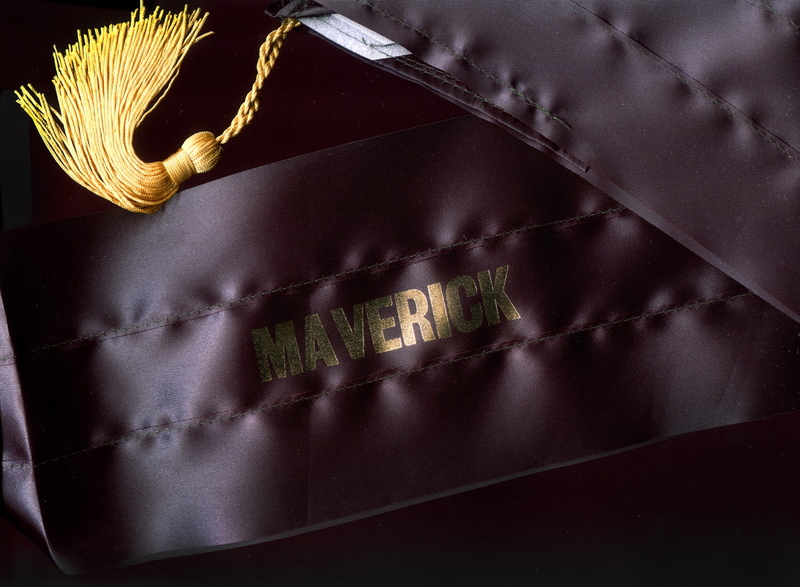 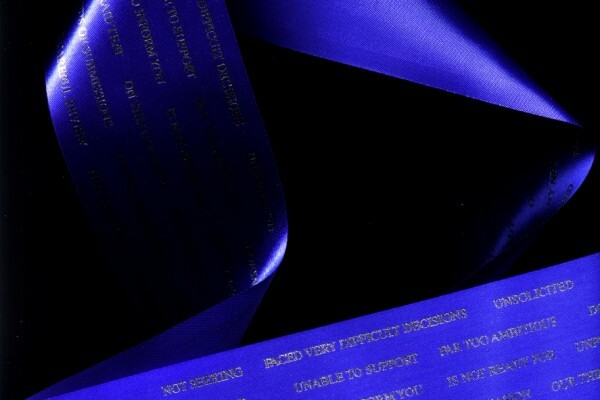 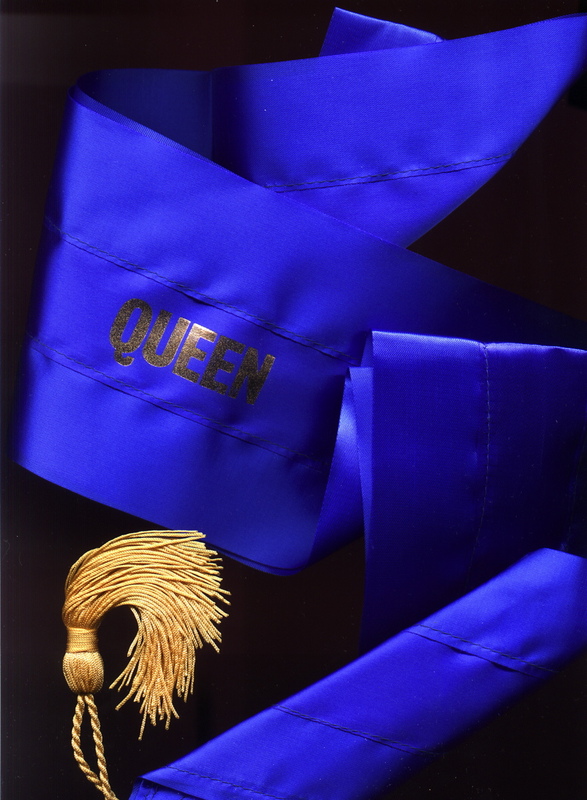 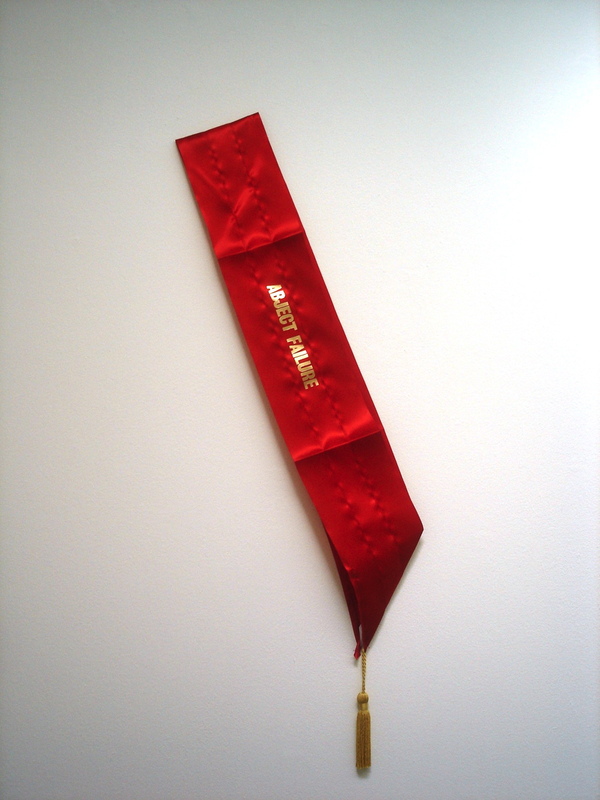 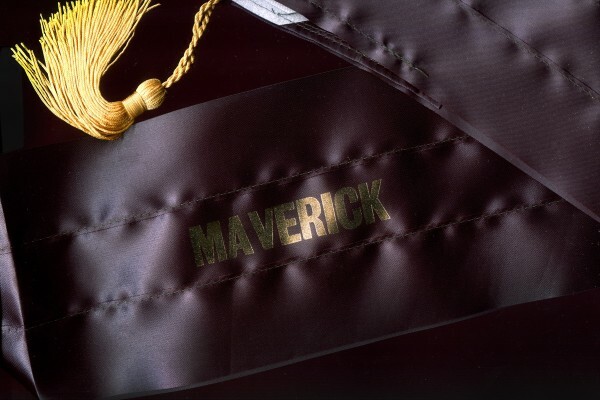 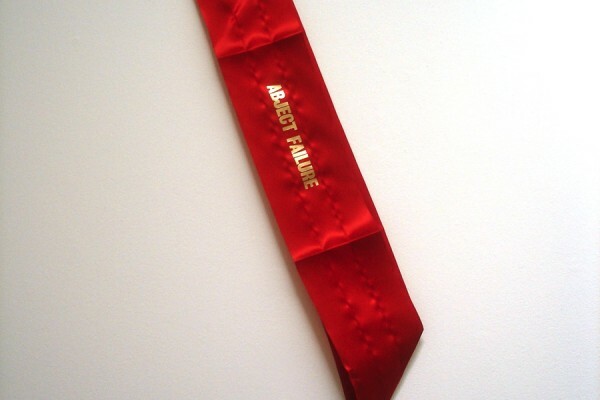 Murphy’s blank rosette ‘Accolades’, Rejection ribbons and pageantry sashes were also installed and worn by members of the team in testament to the commonly unacknowledged experiences of competition and failure that are part of artists everyday life.